Habrote - Mortal queen, daughter of Onchestus, wife of Nisus, mother of Scylla, Eurynome and Iphinoe. Queen of Megara. ​Hades - Olympian era god, son of Cronus and Rhea. Greek god of the Underworld. Harmonia – Minor Greek goddess, daughter of Ares and Aphrodite, wife of Cadmus, and mother to Polydorus and Semele. Queen of Thebes and Greek goddess of Harmony. Hebe - Olympian era goddess, daughter of Zeus and Hera, and wife of Heracles. Greek goddess of Youth. Hecate – Olympian era goddess, daughter of Perses and Asteria. Greek goddess of witchcraft. Hecatonchires - Gigantic sons of Ouranos and Gaia, named Briareus, Cottus and Gyges. Allies of Zeus in Titanomachy and Guardians of the gates of Tartarus. Hector - Mortal, son of King Priam and Hecabe, husband of Andromache, primary defender of Troy. Helenus – Mortal seer, son of Priam and Hecabe, brother to Hector, Paris, Cassandra et al. Trojan defender, later King of Buthrotum. Helicon – An Ourea and Protogenoi, son of Gaia. A Greek god of the mountain of same name. Helios – Second generation Titan, son of Hyperion and Theia. Father to many, including Phaethon, Circe and Pasiphae. Helle – Mortal, daughter of Athamas and Nephele. Gave name to the Hellespont of Asia Minor. Hermes - Olympian god, son of Zeus and Maia. The messenger god and the Greek god of Animal Husbandry. Hermione – Mortal queen, daughter of Menelaus and Helen, wife of Neoptolemus and Orestes, mother of Tisamenus. Queen of Mycenae and Sparta. Hesiod - Greek poet c700BC. Famous for the Theogony and Works and Days. Hespera - Hesperides nymph (occasionally named). Daughter of Nyx (occasionally Atlas). Greek goddess of the Evening and the Golden Light of Sunset, name means Evening. Hesperethusa - Hesperides nymph. Daughter of Nyx (occasionally Atlas). 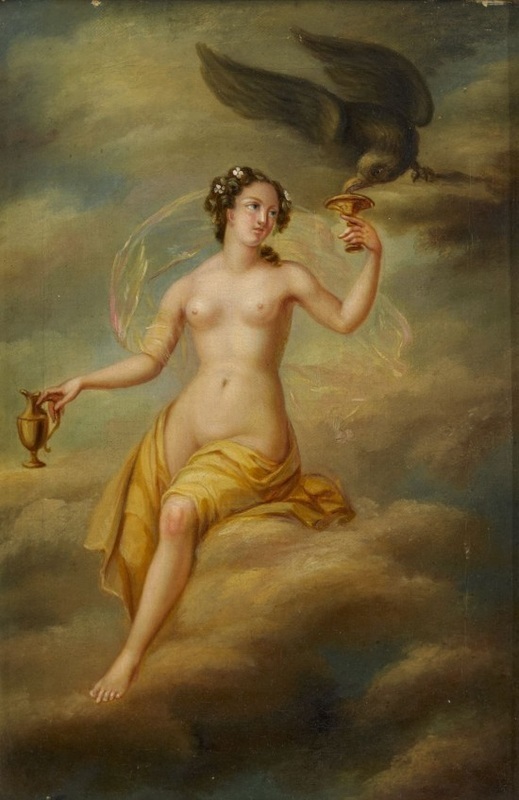 Greek goddess of the Evening and the Golden Light of Sunset, name means Evening Swift. Hesperides – Group of goddess nymphs, three daughters of Nyx (occasionally Atlas), named Aigle, Erytheia and Hesperethusa. Greek goddesses of the Evening and the Golden Light of Sunset. Hippomenes Mortal prince, son of Megareus, possible husband of Atalanta, possible father of Parthenopeus. Hyades - Nymph daughters of Atlas and Pleione, sisters to the Pleiades and Hyas. Transformed into the constellation Hyades. Hyas - Minor god, son of Atlas and Pleione, brother to the Hyades and Pleiades. Greek god of the Seasonal Rains. Hybris – Early goddess, daughter of Erebus and Nyx. Greek goddess of Arrogance. Hylas - Greek hero, son of Thiodamas and Menodice, beloved by Heracles. Named amongst the Argonauts, and subsequently abducted by Naiads. Hypermnestra - Mortal queen, daughter of Danaus and Elephantis, wife of Lynceus, mother of Abas. Queen of Argos. Hypnos - Early god, son of Nyx, and twin brother to Thanatos. Greek god of Sleep.